Guertin, Carolyn. nd. "From Complicity to Interactivity: Theories of Feminist Game Play." TRACE. ---. July 2002. 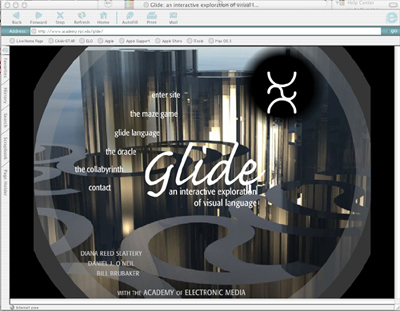 "Gliding Bodies: Cyberfeminism, Interactivity and Slattery's Collabyrinth." Artwomen.org. <http://www.artwomen.org/cyberfems/guertin/>. August 13, 2003. Hayles, N. Katherine. Writing Machines. Cambridge: The MIT Press, 2003. ---. "The Transformation of Narrative and the Materiality of Hypertext." Narrative 9 (2001) : 21-37.